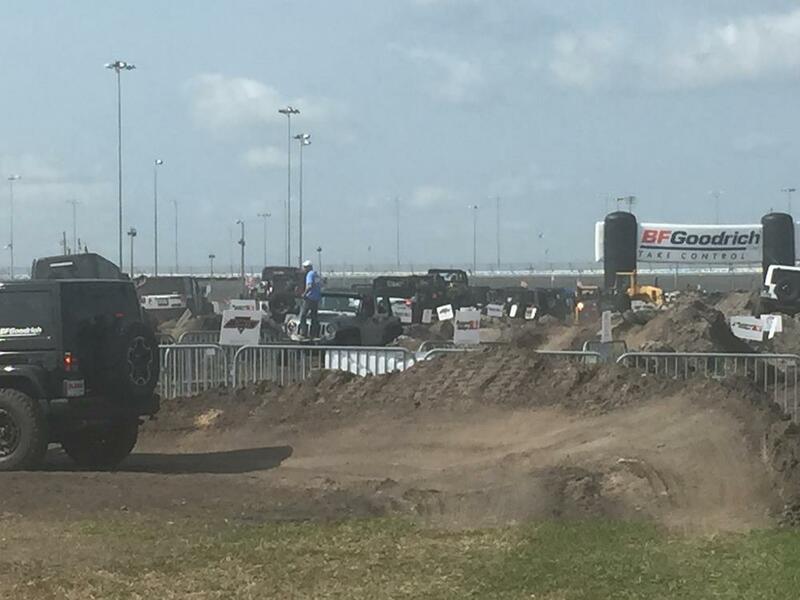 Jeep Beach 2015 at the Daytona International Speedway was absolutely awesome. Rightline Gear had the opportunity to display our new Jeep Storage Bags as part of the Morris 4×4 Center booth. Right across the way was the BF Goodrich semi trailer, a couple of 4 door Wranglers, and a fun obstacle course. We saw all kinds of folks navigating the course on top of Goodrich’s new KO2 tires. It was only natural for me to want to explore these new all terrain tires further. 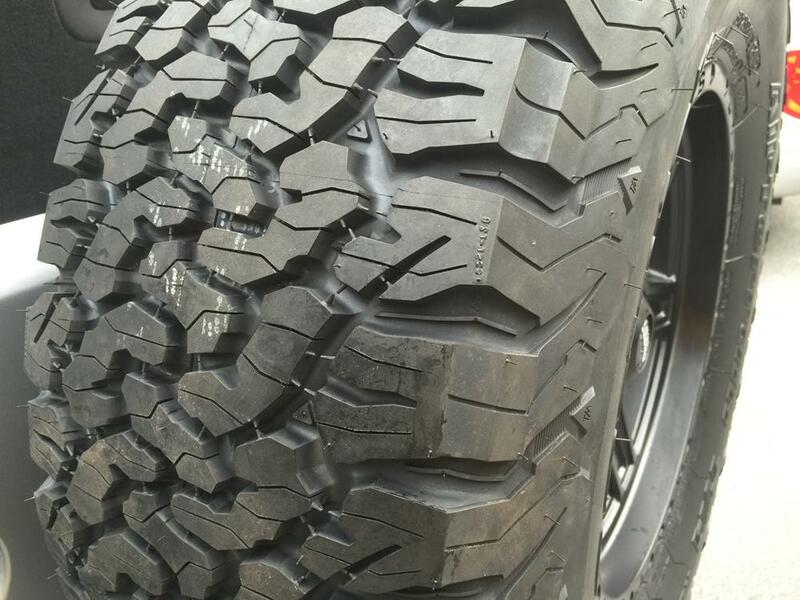 The KO2s already had the reputation for long tread life and the ability to work well on and off road. 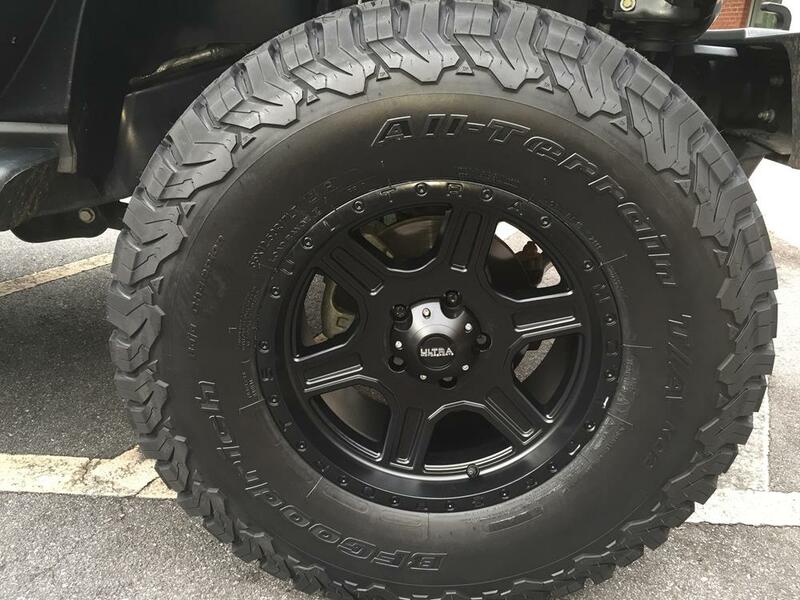 The tires have design elements such as tougher sidewall rubber, a thicker shoulder shield, a new footprint shape to promote even wear, stone ejectors, and tread for increased traction in mud, soft soils and rock. 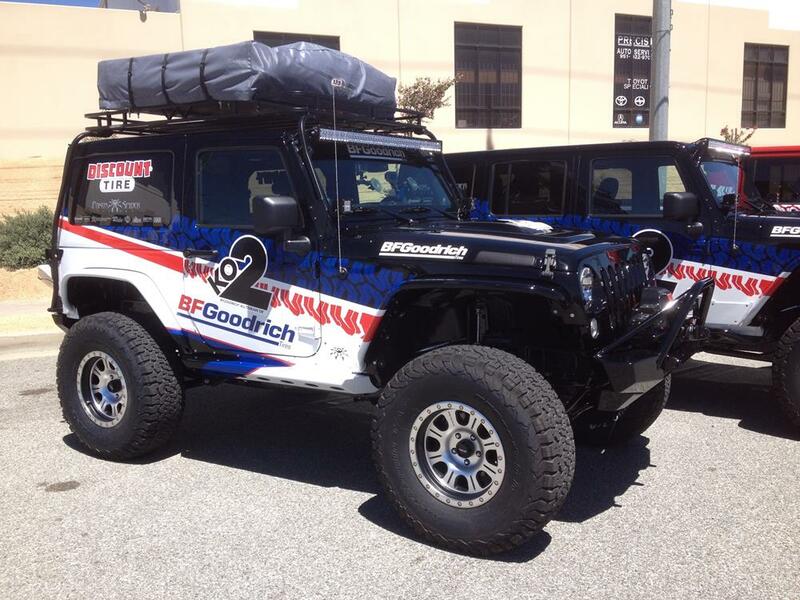 Goodrich is planning to offer a ton of tire sizes to work with many different truck and Jeep set ups. We were super excited to get the sponsorship offer from BF Goodrich, especially since, as part of Michelin, they are headquartered just down the mountains from us in Greenville, South Carolina. I decided to go with the 35×12.50R17 tire size. Even though the T/As are all terrain, one has to wonder how the noise and feel will be on the road. With much anticipation, I headed over to Discount Tire for a quick install. I could not be any happier with the ride quality of these tires. Not only are the KO2s unbelievably quiet, but they make the Jeep ride way better than the street tires you have seen in our other blog posts (what a relief to finally move on from them!). The Jeep has become far more stable with the steering response improved significantly. The wider stance is very noticeable and the Jeep just rolls over obstacles now like they are nothing. I even got rid of the Jeep death wobble that was starting to drive me crazy. I had the opportunity to run a gravel road recently and felt the traction these tires have to offer. Just dig in and do whatever you want. Many people had expressed concern that my stock Sport Wrangler would struggle to push these larger tires. The difference in drive quality has been almost imperceptible. I used to be able to pull away from traffic lights on flat ground in 2nd gear. While that doesn’t work any more, I don’t feel any lag in normal driving. You have to watch that you don’t get caught in 3rd gear going up a steep hill, but that is about it. I don’t believe there will be any reason to change the Jeep’s stock gearing. A special thanks to BF Goodrich for working with us on our project!